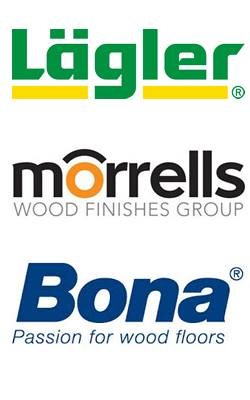 We can highly recommend Solway Sanding Solutions. They have recently sanded and lacquered our fifty year old heavily used ballroom dance floor at our North West Castle Hotel and it looks fantastic. A tremendous amount of care and hard work was put into making sure the job was beautifully done. It took exactly as long as they said it would, and their quote was very reasonable. Just to say that our floor really does look great and thank you to you and Kirsty so much for all your meticulous attention to detail and care for the whole job. We recently (June 2016) contacted Solway Sanding solutions to take a look at our hard wood lounge floor which was very worn since it was fitted approx 25 years ago. Kevin gave us a comprehensive assessment of the work that could be done and assured us re the dust issues. My wife couldn’t believe there would be no dust but during the work she was proven wrong – delighted! Kevin did a test sanding and lacquering which showed us what the final result might look like. He managed to sand down and remove all the worn areas and the lacquered the floor to a pristine finish. Gorgeous. Couldn’t have believed it would look so good. Throughout the work Kevin was completely focused on what we wanted and gave a superb professional service. Extremely pleased with the outcome and the service. I just thought I would send you a quick note to say how delighted we are with the work you have done on our party barn / games room floor. The standard of finish you have achieved and your attention to detail is much appreciated. The end result is way above what we thought would be achievable. If I hear of anyone else needing their wooden floors sorted out then I will recommend you unreservedly. Mr & Mrs Jones, New Galloway. We have had really good compliments on the work you did in the house.